Let's Get Excited about God's Word! to help us grow more like Jesus. 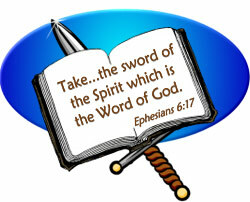 God tells us that the Bible is our sword. by speaking out verses in the Bible. normally make a lot of difference. We become more like Jesus! God wants us to feel safe. The devil wants us to feel afraid. because they have no CHANGE in their life. They have no victory over anything. 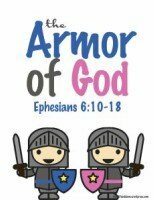 God's sword CHANGES our life! Teens should be able to handle most every page on this site. 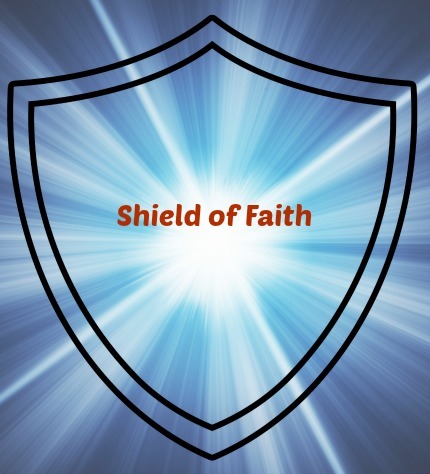 It is a shield of confidence that God's Word is True. As an adult, I have learned a lot from Bible Man. So I urge you to watch with the kids! God doesn't stop everything bad from happening in our life. God will help us handle it. makes me a strong Christian. The Shoes of the Gospel of Peace. the way God wants us to live. Would you say this with me? God's Word tells us what is true. We need to take time to learn God's Word. Truth is found in the Bible. I will live like the Bible teaches me to live. I will not tell lies. God helps us to learn to protect our heart from bad things. meanness, selfishness, hard heartedness, and unforgiveness. The video below is for older children and teens. We add something to the armor. we have some information about our spiritual enemies. I'm a follower of Jesus Christ! the enemy down to size. He can only be at one location at a time. working to influence world leaders. Satan tells the demons to tempt us. "The Devil is giving me bad thoughts." I act like the pieces are visible and material. I say words that show my respect for God and words that will ignite my determination to follow God.